Earlier this month, it wasn’t one study, but two. 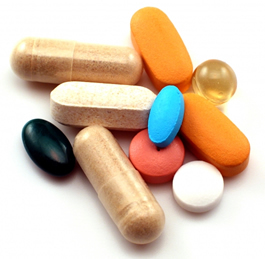 Separate reports on the use of multivitamins and supplements among older women and the use of Vitamin E and selenium to prevent prostate cancer have led to a flurry of media reports about whether or not we, the general public, should take supplemental vitamins. What does that mean for you? We’ve done our best to dissect all of the evidence we can find. Let’s start with the most recent studies. In the second study, researchers followed more than 35,000 men over 10 years to determine whether taking vitamin E or selenium would decrease the risk of prostate cancer. In this study, the risk of cancer increased for men taking vitamin E, selenium, or both. This study also concluded there is little evidence for taking a supplement. While these are both large, longitudinal studies, we thought it’d be prudent to check the other evidence available on supplements and talk to some Cornell nutrition professors about their interpretation of the data. We started off at the Cochrane Collaboration, which has dozens of review on specific supplements for specific conditions. The most general report reviewed studies of supplements to prevent mortality. It reviewed 67 randomized trials with more than 200,000 participants, and found no evidence that supplements prolong life. It also concluded that Vitamin A, beta-carotene, and vitamin E may be harmful. J. Thomas Brenna, Cornell professor of nutritional sciences, draws the same conclusions. “Human trials of so-called antioxidants have generally been neutral or shown harm, and these recent reports are consistent with their findings,” he said. Brenna’s take on vitamins and supplements boils down to what he calls one of the oldest and most reliable mantras in biological science, “The dose make the poison.” In other words, you can get too much of a good thing, and excess vitamin supplementation is no exception. Patsy Brannon, also a professor of nutritional sciences, emphasized the need to consider your total intake of vitamins and minerals. So who might benefit from a supplement and how to decide on what supplement to take and how much? “For those who routinely consume less than 1500 calories per day, it may be hard to consume all the vitamins and minerals in the amounts needed. Then, a multivitamin-mineral supplement that provides only 100 percent of the recommended daily values for each of the nutrients in the supplement would be helpful,” she said. Brannon pointed out a recent study published in the Journal of Nutrition that many adults are not meeting their nutritional needs. Other evidence found only about 25 percent of American adults are following the recommended dietary guidelines. The bottom line: Yes, supplements are important for specific deficiencies or when diets do not include a healthy variety of foods. But the public as a whole may be overconsuming them to ensure health. When that happens, they may do some harm. of a natural minerals acids because that’s will create a recovery . Great article! ““The dose make the poison.” In other words, you can get too much of a good thing, and excess vitamin supplementation is no exception.” this is the key no doubts, every case is a case! I do agree with what your study found that supplements do not prolong mortality. Consumers are been bombarded with multiple false claims from the industry, due to the present lax regulations from the FDA.